Mario Kart 8 is now reportedly the second best-selling racing game of all time across the US, and everyone's favourite red hat-wearing, moustachioed plumber has only been beaten to pole position by his older self. The game has boosted and drifted its way to some seriously impressive levels of success, now just one place behind the incredibly popular Mario Kart Wii. Catching up to that game will take some doing - the Wii's install base was a different beast entirely back in the day - but it's certainly off to a speedy start. It's worth noting that sales for both the original Wii U game and the Deluxe edition on Switch are included in this figure, and that the games are ranked in dollar sales. The news comes from the NPD Group's Mat Piscatella, who has already shared some incredibly interesting info earlier today. We've learnt that Switch was the best-selling console throughout 2018 in the US, Super Smash Bros. Ultimate was the highest-earning Switch game of the year - despite only launching in December - and that Pokémon still dominates the 3DS charts to this day. We're certain Mario Kart 8 Deluxe will continue to sell by the bucketload, but it'll be interesting to see where the franchise goes from here. Does the Switch need a Mario Kart 9? Or will 8 Deluxe be more than enough to see the Switch through? Share your thoughts with us in the comments. Wouldn't that be 'older' self? That's great though, always knew the Mario Kart series beat every other racing game series, this just confirms it. "Does the Switch need a Mario Kart 9?" That would be ideal. "Or will 8 Deluxe be more than enough to see the Switch through?" Only if they add more tracks/cups. What’s the actual number though?? the best racing game ever. @Ayye-ant The best game ever. @Dualmask in terms of game age yes but they was meaning more so that mario is younger in MK Wii and Older in 8 deluxe. I don't see any need for a Mario Kart 9 really. No Nintendo console has ever had more than one Mario Kart made for it. Plus there's no reason to divide the online playerbase between two games. I'd estimate that Mario Kart 8 + Mario Kart 8 DX has sold 9-10 million copies in the US. I would rather have a full-priced, full-featured DLC pack for Mario Kart 8 Deluxe than a Mario Kart 9. Eight more cups, twentyish new racers, a handful of new karts, and preferably the introduction of a Double Dash mode. since they are adding non-Mario Characters to Mario Kart 8. i would love to see other Nintendo franchise like ARMS and Kirby into the mix as well, would be neat to see Kirby using his star to ride in Mario Kart 8 too. No need for 9 on the Switch. Another DLC pack would be cool though. No need for Mario kart 9 but they should release DLC. Nintendo are leaving money on the table if they choose not to. I wish they’d be working on MK9 instead of MK Tour (I assume). Heck yeah! Such a fantastic game. I'd much rather see an extensive bit of DLC for 8. Chuck in some new cups etc and were away. Could easily double the ammount of tracks. No need to make another game and slap a 9 on the front. Yes, I think the Switch needs its "own" Mario Kart game. I love Mario Kart 8, but I won't buy it on Switch because I still have my WiiU hooked up and play it on there if I want to play it. @DockEllisD Personally to me they need a new Mario Kart. Its a 4 year old game at this point and a switch specific one would be amazing. No game have I ever wanted dlc more for than this. Such a great game really hope they give us an expansion eventually! MK8D is perfect, there really is no need for a numbered sequel. A “Super Kart Bros” dlc with Nintendo IPs characters and tracks would be awesome. Maybe a single player career mode too, in the vein of Octo expansion. Looking forward to Mario Kart 9. Can't wait to see where the Mario Kart universe goes after 8. I'll happily take DLC for 8, but I'd much rather have a brand new game. Mario Kart 8 DX feels fairly close to perfect. Beyond adding more tracks and characters (which could easily be done with dlc), the only reason I can really see the need for an MK9 anytime soon would be if it added a substantial single player 'adventure' mode of some sort. Given the choice I'd prefer an all new game so that they can add new game play mechanics and mix things up a little. As many nitpicks as I have of MK8, it's still a really solid entry. Star Cup's tracks are what -all- Mario Kart tracks should aspire to be. It just took a step or two backwards in its forward sprint. @earthinheritor I'd prefer a new one too. I've also said it before, but a collection of the Mario Kart GP arcade games would be awesome too. Wow that is pretty much a 50/50 split between new dlc. I personally can't understand why people wouldn't be up for a Mario Kart 9 and all of the things they could bring to it. @Bliquid Now that you’ve mentioned a single player campaign I cannot believe that it’s already not there! What a perfect addition that would make! @Aozz101x I can see some really cool weapon mechanics being added (not sure how technically possible) by throwing in an ARMS character. @Marios-love-child Yeah, that kind of thing, but at this point it would need to be much more substantial and involved. If fighting games can now come with 20+ hour single player campaigns then I'm sure they can come up with something for MK. I would guess they're probably already working on something along these lines. I can't see them just releasing another straight kart racing game. Mario Kart 9 would be great on Switch . Some new tracks and some new features and modes., I'm in . I imagine we will see a mario kart 9. If a port can sell well, imagine how well it could do if the people who didn't buy the port because they previously owned it joined in. Mario kart 9 would make the Switch sales explode..expecting an E3 reveal. All the people begging for DLC, you realize this game already has the DLC, that's what the DX means... It already has more tracks/characters, etc. than any other Mario Kart ever. Why are you never satisfied with anything? Maybe they should save their ideas to make Mario Kart 9 as good as it can be. If you like, you could spend your money on a new game instead. Mario Kart would need at least 3 Fire Emblem characters for it to become Nintendo Kart. I think we’ll see Mario Kart 9 on Switch. Originally I’d have said 2020 but with the way MK8D is selling maybe 2021 is more likely. @Marios-love-child An adventure mode like Diddy Kong Racing would be great. I do miss the missions from Mario Kart DS too. I can't see Nintendo using hovercrafts and planes though. If Mario Kart Tour does not somehow tie-in to a separate Switch game, I'm thinking MK9 won't happen till around 2020-2021. MK9 for Switch will happen eventually though. MK8 already had two sets of DLC, plus the DX update. It would be a lot of investment for Nintendo to go back in and totally revamp the track menus to accommodate new tracks, and then create a whole bunch of new tracks that are purposely dumbed-down to Wii U graphic capability. I think it makes more business sense to create a new game. Probably not no, I wouldn't say the planes and hovercrafts would be necessary. I did enjoy Diddy Kong Racing though, it felt like you were taking part in the races to actually achieve something and it had boss battles rather than just trying to win gold in a best of 4 race series. @Marios-love-child I liked being able to explore the island too along with silver coin and amulet challenges. The zippers also made the game more challenging by giving you a better boost of you let go of the A button just before you hit them. I remember the boss battles being awesome too. The first time I raced against Wizpig was amazing. I can't see Mario Kart 9 being a Switch game. 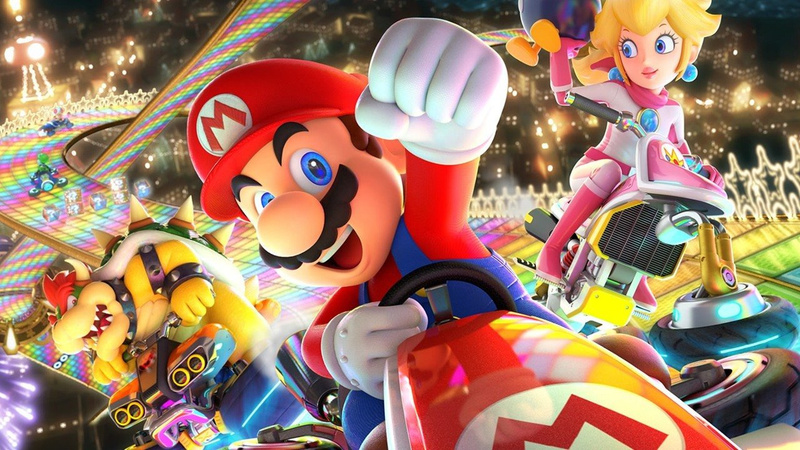 There is no point in hindering Mario Kart 8 DX's current sales momentum when it's on track to sell 25-30 million copies. Mario Kart 9 would be an amazing Switch 2 launch title in 2022-2024. It would ensure that the Switch 2 has an absolutely explosive launch, if only because Mario Kart 9 would be the first new Mario Kart game in 8-10 years. When i'm looking at the new racing games like sonic team,crash racing people say they will look better on other consoles but you only need to look at this when it first came out in 2014 on the Wii U it was amazing. The people doing sonic and crash racing have no excuse for them to not be a perfect port. Look at this game and take inspiration from what nintendo did all them years back. I would prefer they make MK9. 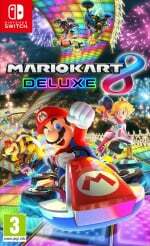 I won't mind if they make DLC for 8 Deluxe though, provided that they add more tracks to it and maybe a few characters and kart parts. As @westman98 said, MK9 would make one heck of an impression as a launch title for Switch 2, I would buy it at launch for that game alone. I still want MK9 on Switch. But they might well hold off for Switch 2 unfortunately. Ummm, it would be foolish to not have MK9. Let's just kiss away 20 million copies sold (if not more), not to mention how many consoles it would move. Plus, I think the Mobile Nintendo game is being created to hook in new players. My guess is we see Mk9 in June of 2020. Maybe hear an announcement at E3. @delt75 I see where u are coming from, but the battle modes, ability to store an extra item and new characters/mods/cars make it worth the purchase. @Bomberman64 Only problem with your statement is that Switch hasn't actually had a Mario Kart game made for it, it's gotten an all DLC inclusive port of a game that was made for the Wii U. While I love Mario Kart 8 dearly, I wouldn't mind seeing what Nintendo can do with a game made from the ground up for Switch. While MK8 sells so well, there'll be no MK9. April 2020 for MK9 at the earliest. MK8 will likely never top MK Wii sales but given how inept I am at using a Wii Remote to drive a kart, I've more or less forgotten (or tried really hard to forget) that game exists. But given how amazing MK8 is, I still scratch my head whenever another Hello Kitty Kart Racers or All Star Fruit Racing is released. What's the point? If it's a cash-in, cool, but at least release that trash at $20 instead of $40. What we have is enough ! I only currently love the battle mode anyways! I’ve said it once and I’ll say it again; MK8/MK8D is the best Kart yet! Interesting how they combined both Wii U and Switch sales. With the exception of double items, added characters, ultra mini turbo when drifting, and the much needed battle courses (sad that they were excluded on Wii U), MK8 and MK8D are pretty much the same. Do these charts, based on dollars take inflation into account? 1000 dollars today is not the same as 1000 dollars in 1997 for example. If they don't account for that kind of difference, then these comparisons are meaningless. Switch hasn't got a MK game yet! MK9!!! @dimi It's hard to imagine the number of Wiis with Mario Kart Wii bundled more than Wii Sports bundles. Strangely enough, there is simply no other good racing game on the Switch but this is totally ok: we need nothing else but MK8. So many tracks, characters, karts, and a reasonably hard 200cc championship. Only Ridge Racer or Burnout could give MK a run for its money, but i won't happen. Mario Kart 9 (or whatever it's called) won't release on the current Switch, I don't think. Nintendo has never released more than one Mario Kart game per console, so it's hard to believe they'd mess with that success now. @Racthet916 I agree that it would be nice, I'm just trying to consider the way Nintendo has done things in the past. I agree that the jump in presentation from MK Wii to MK 8 was way bigger than MK8 to MK8 Deluxe, and it would be nice to see something of the same improvement there. I’m expecting MK9 to be the launch title for Switch Pro/2. MK8D will be the only MK for current Switch. It will be an unorthodox move by Nintendo, not releasing a new MK for the current console, but this is a new Nintendo with new leadership. And with MK8 still selling so well, they could easily ride it out until the release of the next gen Switch. MK9 would be a perfect launch title. I always love the new classic tracks y you get with every mario kart: a new rainbow road, bowsers castle and mario circuit sound pretty awesome! Mario Kart 8 deluxe has a ton of content, but we need more cups and tracks as stated by everyone else. Also we should be able to wear our amiibo mii racing suits in the lobby (I have Captain Falcons!) I want Pac-Man’s amiibo for that kickass racing suit lol. @JJtheTexan True, but every platform has had an original Mario Kart game. There isn't enough in Mario Kart 8 on Switch to constitute it as an original game. Hopefully we'll get a brand new Kart game in the next 24 months. @Marios-love-child Sure was worth getting 100% on DKR. Some of my best childhood memories come from playing that game both alone and with friends. Misleading title. It's Mario Kart 8 Deluxe for Nintendo Switch, and not Mario Kart 8 for Nintendo Wii U. @delt75 that's a good point. I do believe Nintendo is increasingly taking the view of the Switch as a "mulligan" and make-good on the failed potential of the Wii U, sort of like a half-sequel / upgrade as opposed to a proper successor. Likewise, I don't expect a new DKC game. I'd be very happy if proven wrong! Mario kart 9 would only be a Mario Kart 8 engine mod. The Switch is simply an easier to develop for Wii U - a large DLC pack would be what Mario Kart fans need. Mario Kart 9 can be launched when Nintendo actually make powerful hardware. @delt75 silly. The Switch is basically a portable Wii U - it's true. Nintendo spent their time on Wii U learning how to working in higher resolutions and all the new fangled technology, Switch allows no more than mere refinements. Mario Kart 9 would be nothing more than a MK8 mod. So dlc it is.